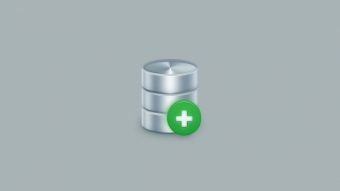 In the following Photoshop tutorial you will learn how to create a simple database icon. Open Photoshop and hit Control + N to create a new document. Enter all the data shown in the following image and click OK.
Set the foreground color to #39b54a, pick the Ellipse Tool and create a 100 x 30px vector shape. Make sure that this shapes stays selected and switch to the Rectangle Tool. Hold the Shift button from your keyboard and simply add a 100 x 30px rectangle as shown in the second image. Make sure that your green shape is still selected and get back to the Ellipse Tool. Hold the Alt button from your keyboard and draw a second 100 x 30px shape as shown in the third image. Focus on the Layers panel and simply double click on the existing vector shape to open the Layer Style window. Activate the Inner Shadow and the Gradient Overlay then enter the properties shown in the following images. Make sure that your vector shape is still selected and simply hit Control + J to duplicate it. Focus on the Layers panel, right click on your fresh copy and go to Clear Layer Style. Keep focusing on the Layers panel, make sure that your copy stays selected, lower its Fill to 0% then open the Layer Style window. Activate the Bevel & Emboss and the Inner Shadow then enter the properties shown in the following images. Using the Ellipse Tool, create a 100 x 30px shape and place it as shown in the first image. Open the Layer Style window for this new vector shape and enter the properties shown in the following images. For this step you will need a grid every 1px, so simply go to Edit > Preferences > Guides, Grid & Slices and enter a in the Gridline Every box. Using the Ellipse Tool, create a 94 x 24px shape and place it exactly as shown in the first image. Open the Layer Style window for this new vector shape and enter the properties shown in the following images. Return to gridline every 5px, so simply go to to Edit > Preferences > Guides, Grid & Slices and enter 5 in the Gridline Every box. Set the foreground color to #354654, pick the Ellipse Tool, create a 90 x 20px shape and place it as shown in the first image. Focus on the Layers panel, simply right click on the shape made in this step and go to Convert to Smart Object. Make sure that this new smart object is selected and go to Filter > Blur > Gaussian Blur. Enter a 3.5px Radius and click OK. Select all the things created so far and simply hit Control + G to Group them. Make sure that your new group is selected and duplicate it (Control + J). Select this fresh copy and simply drag it 35px up as shown in the thid image. Reselect the group copy made in the previous step and duplicate it (Control + J). Select the new copy and drag it 35px up as shown in the second image. Focus on the Layers panel, open the group made in this step and get rid of the existing smart object using the Delete button from the keyboard. Set the foreground color to #39b54a, pick the Ellipse Tool, create a 60px circle and place it as shown in the first image. Duplicate (Control + J) this green shape, select the copy and simply hit Control + [ to send it behind the original green shape. Make sure that your copy stays selected, replace the existing fill color with #0070be then move it 3px up using the up arrow button from your keyboard. Reselect the green and the blue circles and duplicate them (Control + J). Select both copies and convert them into a new smart object. Drag this new smart object behind your green and blue circles, lower its Fill to 0% then open the Layer Style window and enter the properties shown in the following images. Duplicate the smart object made in the previous step (Control + J). Open the Layer Style window for this fresh copy and replace the existing attributes with the ones shown in the following image. Open the Layer Style window for your blue circle and enter the properties shown in the following images. Open the Layer Style window for your green circle and enter the properties shown in the following images. Make sure that your green circle is still selected and duplicate it (Control + J). Focus on the Layers panel, right click on this new copy and go to Clear Layer Style. Select the copy made in this step, lower its Fill to 0% then open the Layer Style window and enter the properties shown in the following images. Grab the Rounded Rectangle Tool, focus on the control panel and set the Radius to 2px. Set the foreground color to #ffffff, create a 30 x 10px vector shape and place it as shown in the first image. Make sure that this white, rounded rectangle stays selected, hold the Shift button from your keyboard and add a 10 x 30px shape as shown in the second image. Open the Layer Style window for your white vector shape and enter the properties shown in the following images. Hit Shift + Control + Alt + N to create a new layer, select it and send it to back (Shift + Control + [ ). Make sure that this new layer stays selected, pick the Paint Bucket Tool, set the foreground color to #aab3b8 and simply click inside your canvas. Pick the Ellipse Tool, set the foreground color to #8495a3, create a 100 x 30px shape and place it as shown in the first image. Focus on the Layers panel and simply drag this new vector shape behind all the shapes that make up your icon. Open the Layer Style window for the vector shape made in this step and enter the properties shown in the following images.